For over 45 years, Cats has been protecting the living spaces of homeowners throughout Southern California, not only from what’s considered to be a “nuisance pest” such as little ants or carpet beetles or even those tiny food pantry insects, but from a wide variety of potentially harmful insects such as mites, spiders, ticks, rodents and other potential disease-carrying vermin. 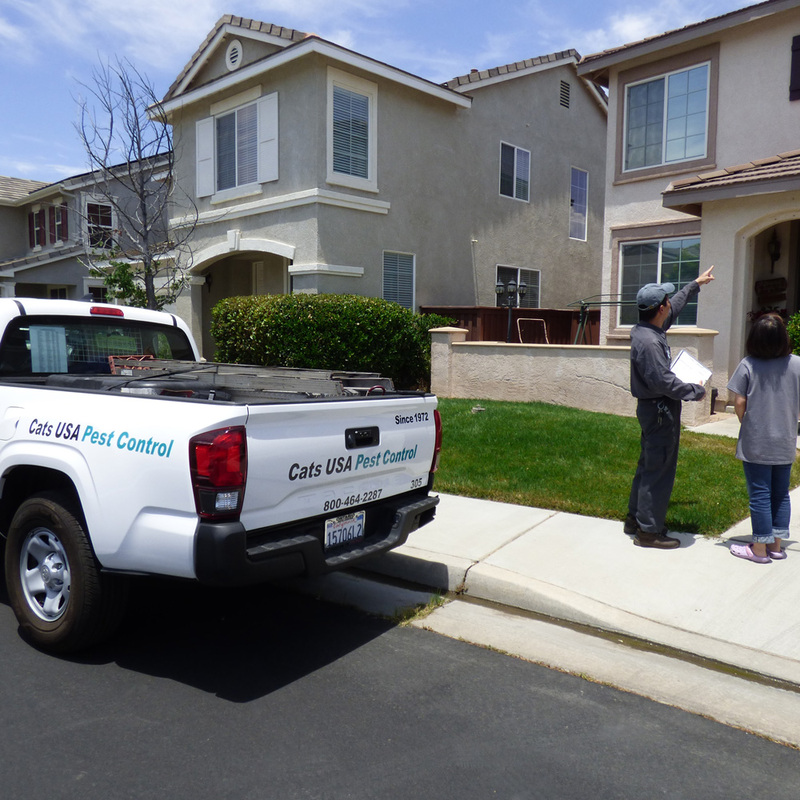 Our success in protecting homeowners is in the implementation of Integrated Pest Management. Whatever the situation might be, we have and will offer a solution that is conducive to your private living space. Sometimes it may simply be a recommendation based on our knowledge and experience of Southern California’s structural invading insects. At other times it may be a recommendation to include a One-Time application with one of our ecofriendly products. Whatever your needs, we are a full-service pest control company with over 45 years of experience. Equipped with extensive knowledge of experience in utilizing the state-of-the-art “Integrated Pest Management”, our team is more than capable of protecting your home all year round.